If readers prefer not to accept the random order in which they receive the novel, they may re-arrange the sections into any other random order before reading. So what do you do? You are about to begin reading the famous novel-in-a-box. Of course, anxious to fully enter into the spirit of the enterprise, you refuse to accept that the order in which you have received the chapters is random enough, so you remove the sections from their paper girdle and solemnly shuffle them until you are sure that they are really, really random. Then, having convinced yourself that you have achieved a sufficiently level of randomness, you begin – as instructed – with the chapter marked ‘First’. Ha ha, as the narrator of the novel might say. At first you are tentative. You expect to be disoriented. The novel opens as the nameless narrator arrives in a city he gradually realises he has visited before. He slowly recalls the geography of the place; a series of half-remembered incidents and landmarks come back to him. In its reiterations and fumbling towards meaning, the prose recalls Beckett: the repeated implication being that the words used are not the right words, that there are no right words. And, yet like the narrator in his unfamiliar city, you find yourself settling in. The novel consists of a series of episodes involving the narrator, his friend Tony, who is dying of cancer, and his wife June. The narrator is a novelist and occasional football reporter. He is overweight, enjoys a drink and at some point in the past, has split up with his girlfriend, Wendy. We are constantly reminded of the unreliable nature of the narrator’s recollections – the act of remembering is, we are told, a ‘constant . . . distorting process.’ Thus, the form of the book, in which the various episodes come to us in a random order, mirrors the arbitrary nature of memory. And more than this, the very act of describing something is by nature selective and distorting. The longest section of the book deals with the narrator’s attendance at a football match and the writing of his report. The section ends with the lengthy dictation of his report to the newspaper’s sub-editor. The final match report is printed in the back of the box. It has been stripped to its bare bones and bears little resemblance to the dictated version. It is a reflection on the distorting of ‘truth’ inherent even in the ‘reporting’ of an event as straightforward as a football match. 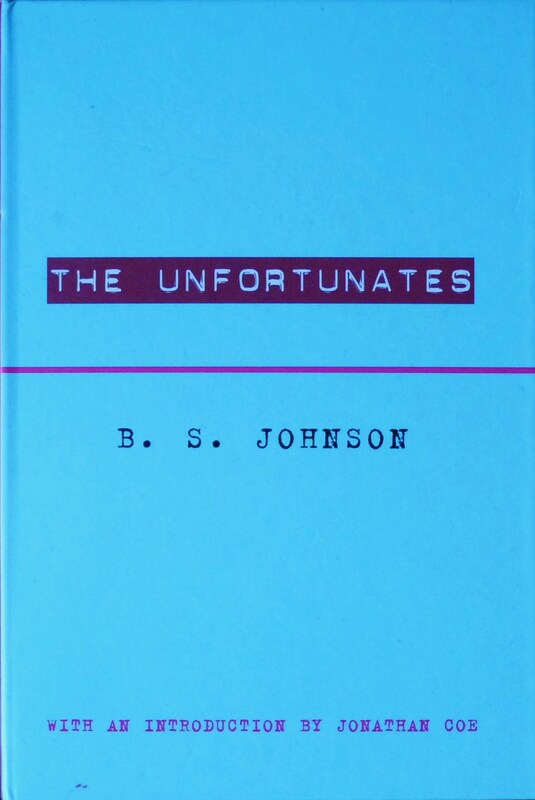 Yet despite all this technical experimentation, reading The Unfortunates is a surprisingly normal experience. What it illustrates is that we can quite easily shake off the shackles of chronology. And the novel we are left with is accessible and poignant: the muddled chronicle of the ravaging of a friend by cancer, filtered through a mind no longer sure of the order in which events occurred, or even if they occurred at all.